P.S. The Long Journey to New Patient Education Guidelines Began with Whom? HomeNEWS & VIEWSViewsP.S. The Long Journey to New Patient Education Guidelines Began with Whom? Answer: Every woman who ever uttered the words, "If only I knew..." after being stricken with preeclampsia. The executive summery of the eagerly anticipated new guidelines for the diagnosis and management of hypertension in pregnancy was just published by the American College of Obstetricians and Gynecologists (the College) in the electronic version of their November journal. The guidelines include a recommendation to provide preeclampsia education to all patients as a means of improving pregnancy outcomes. 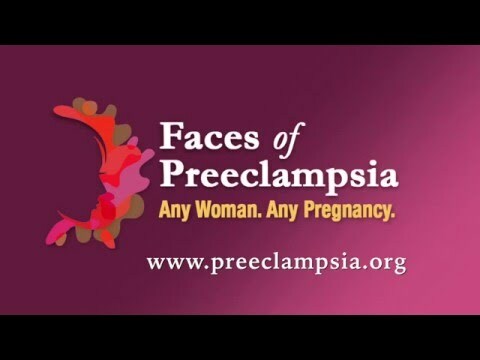 Healthcare providers need to inform women during the prenatal and postpartum periods about the signs and symptoms of preeclampsia and stress the importance of contacting healthcare providers if these are evident. The College is assuring its members that this can be done without increasing patient anxiety and by using effective health communication practices. We can help with that. Our educational materials are credible and shown to be effective, even with patients with lower health literacy. Our illustrated signs and symptoms tearpad was created and tested for just this purpose. We consider it an important accomplishment that the College and several state initiatives now include patient education as a routine recommendation and consider it a central consideration in all discussions about patient safety and quality improvement. Patient education early in the prenatal period, during pregnancy, and again after delivery (at the start of the postpartum period) is considered a best practice. Despite what I believe is a nationwide movement in patient education in preeclampsia now sweeping the country, the fact remains that this will be for naught if our healthcare providers don't act quickly and accurately when sick patients present for care. Thus, our mission must continue to include education for those who care for expectant and postpartum mothers, as well as partnering with numerous professional and consumer organizations to advance quality improvement and patient safety initiatives to reduce maternal and perinatal mortality and morbidity. Numerous articles this month reflect the power of women and their surviving loved ones telling their personal stories and crying out everywhere: "If only I knew..." We salute the power of these collective voices and what you have already accomplished! Thank you. Give, Give, Give: How Do I Decide?